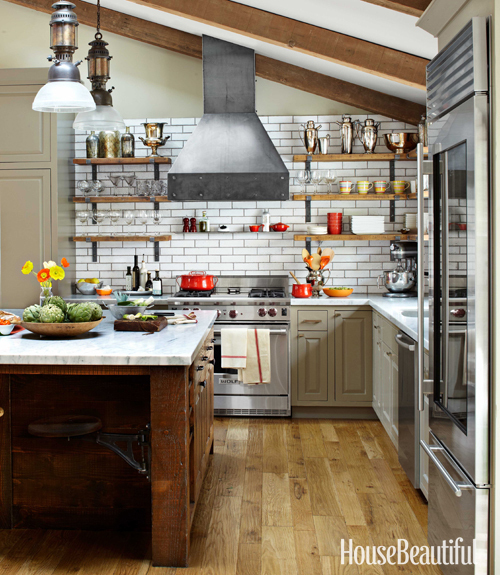 Designed by Dan Doyle, this industrial kitchen in Napa Valley exudes charm and style. 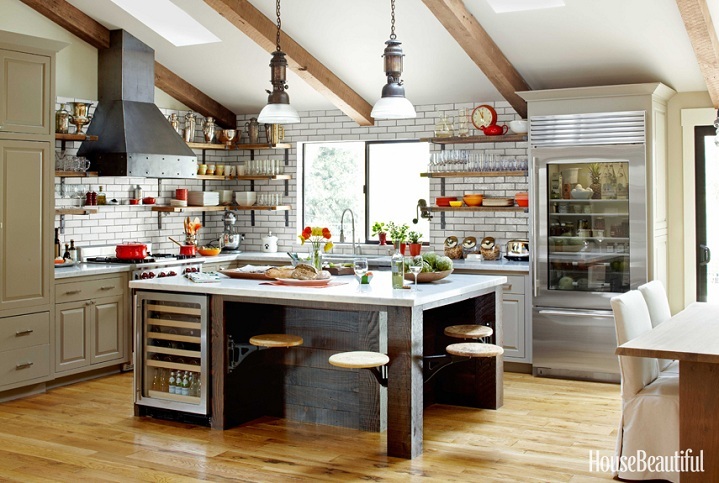 Let's check out this fabulous kitchen, shall we? By combining unconventional materials such as salvaged wood, raw steel and glazed brick into the kitchen design, this kitchen feels warm, current and refreshing. I especially like the beautiful glazed brick, the space-saving vintage swivel stools, the statement-making shelves and the charming wood beams. Which detail is your favorite? 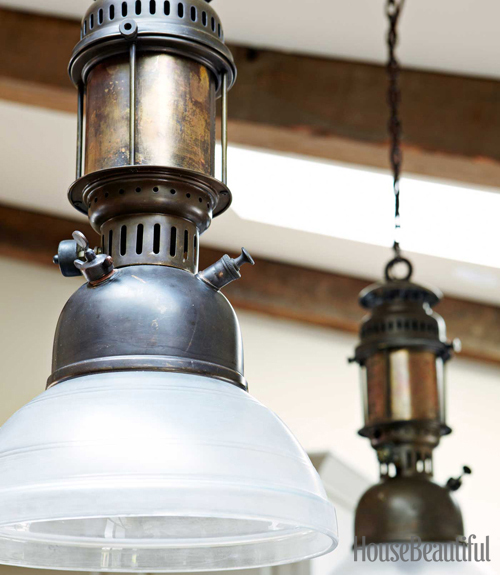 Are you a fan of this rustic industrial kitchen as well? Beautiful. 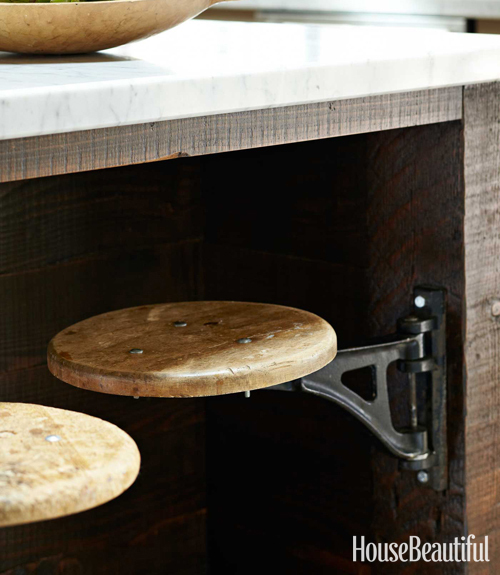 Those fold away stools are causing quite a stir...PB or RH needs to get on it and start making those! So cute. 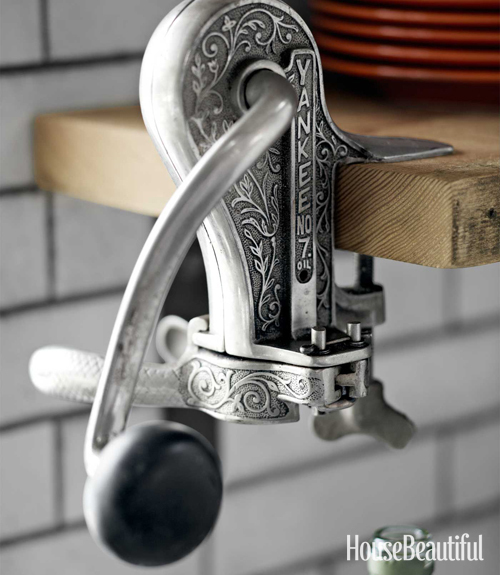 I was just adoring this kitchen the other day! Gorgeous! I am a big fan of the industrial look but i do love some of the elements...wood beams on the ceiling and those space saving stools never seen this type of approach...love it. What a beautiful kitchen. I agree that those stools are for sure going to become a big trend. Love the idea! Where can I find the swivel bar seats?